There are many benefits of a packaged pumping system, one of the most popular benefits is the ease of installation. The process of the installation involves lifting the package off the truck. Then once in place, connect all the proper piping and power for it to operate. By choosing this option, it makes it easier to deal with troubleshooting. If something goes wrong you have only one vendor to call, unlike other systems where multiple areas could be at fault and you would need to deal with multiple vendors. At the H.V. Burton Company, our mission is to provide our clients with the best possible service and products that will best benefit their business. In addition, we have been in the business for over five decades and we are a leading manufacturer’s representative organization. Also, we have been servicing all of Michigan and northwest Ohio, and strive to provide the best customer service possible. 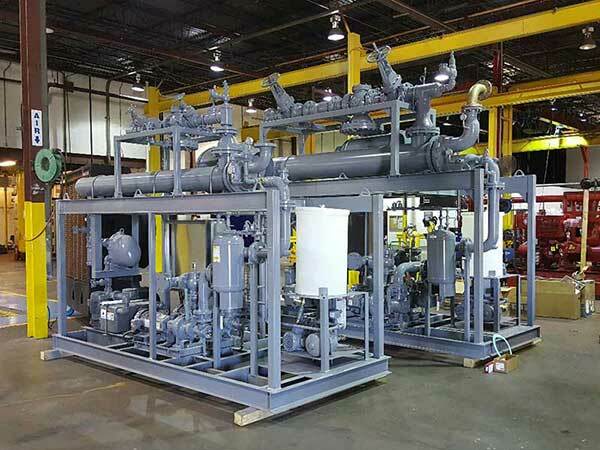 When it comes to packaged pumping systems, we always stand by Tigerflow manufactured systems. They can manufacture custom-made systems to fit your exact needs. By working closely with Tigerflow, H.V. Burton COmpany is able to provide you with the exact system you need. Take time and schedule a visit today from H.V. Burton Company and let our experts show you exactly what you need! This entry was posted in Packaged Pumping Systems and tagged H.V. Burton Company, packaged pumping systems, pressure regulator. Bookmark the permalink.